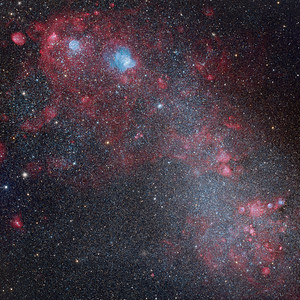 NGC 292, or the Small Magellanic Cloud (SMC) is the smaller of the two ‘Nubeculas’ first sighted by Ferdinand Magellan during his circumnavigation around the globe at the beginning of the sixteenth century. 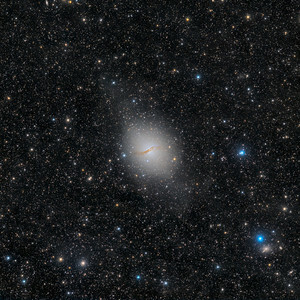 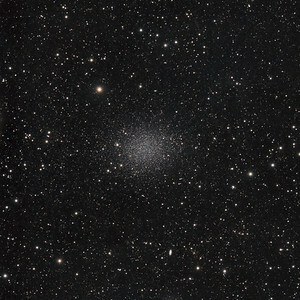 At a distance of "merely" 210,000 light-years away in the constellation Tucana, the SMC is tidally distorted by both the LMC and our own Milky Way. 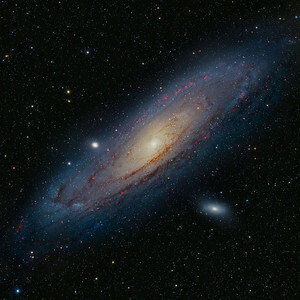 It actually spans 15,000 light-years or so and contains several hundred million stars. 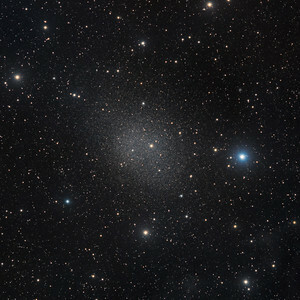 Despite being often overlooked due to the smaller size and brightness compared to the Large Magellanic cloud, the SMC is very rich of objects to see. 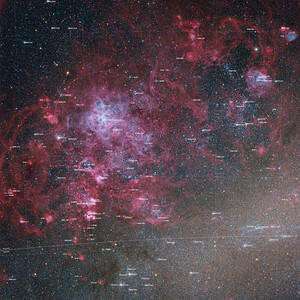 The large blue patch in the top right of the image is clusters and nebulae NGC 346, a a star forming region about 200 light-years across, as big as the Eta Carinae Nebula. 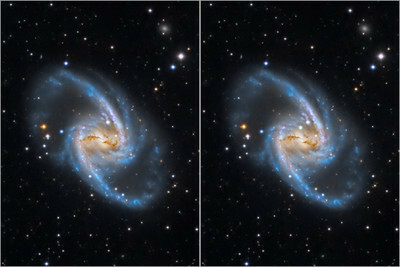 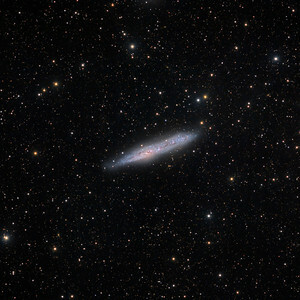 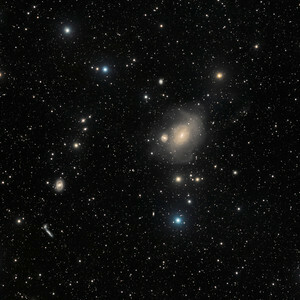 Exploring NGC 346, astronomers have identified a population of embryonic stars strung along the dark, intersecting dust lanes visible here on the right. 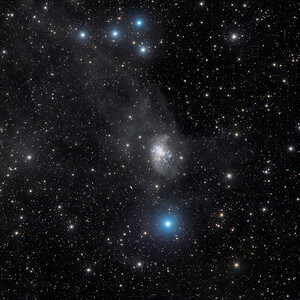 Still collapsing within their natal clouds, the stellar infants' light is reddened by the intervening dust. 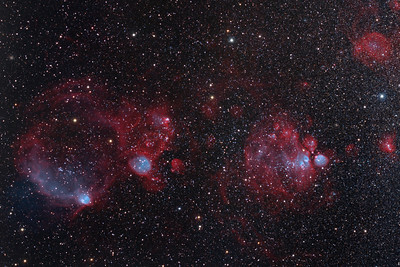 Under this giant nebula, close the center of the image lay Henize N36 and N37, a pair of emission nebulae fairly bright. 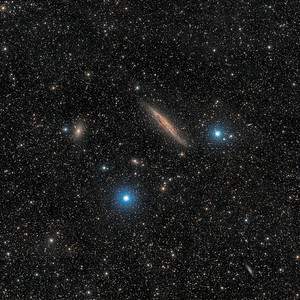 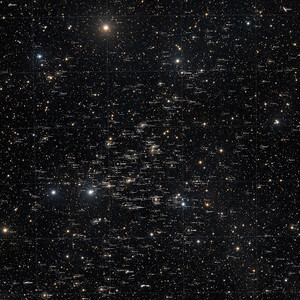 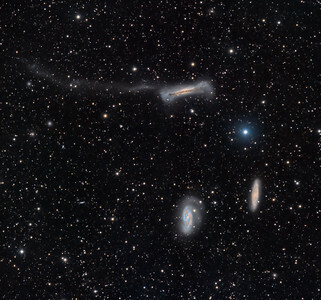 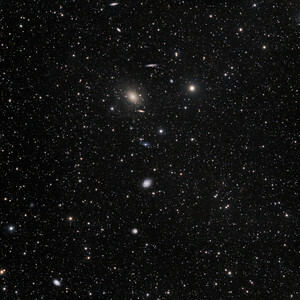 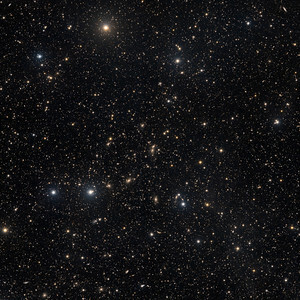 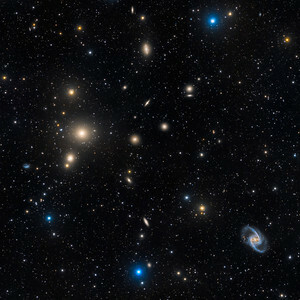 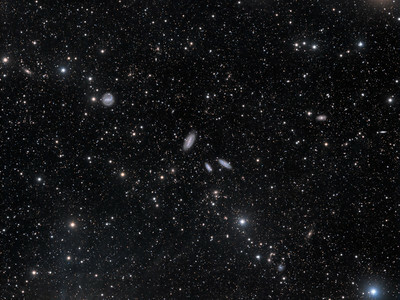 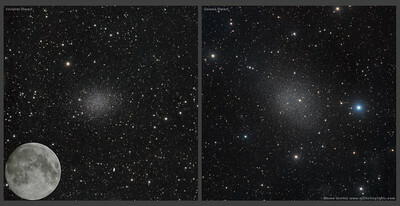 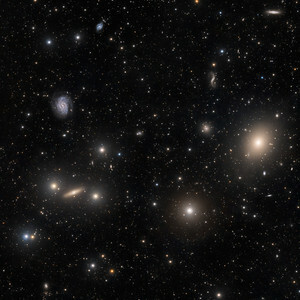 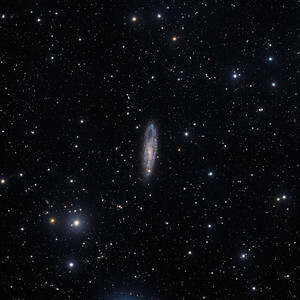 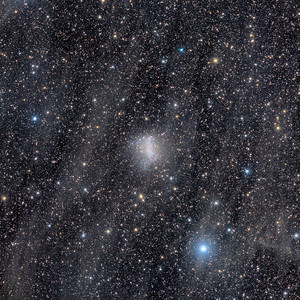 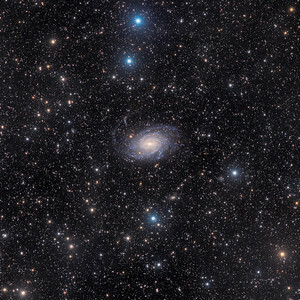 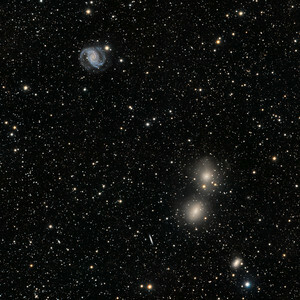 Al bottom left in the picture above there is a group of objects known as "the Magnificent Seven", in fact NGC 249–261–267, Dem 132 and N 25–28–30.